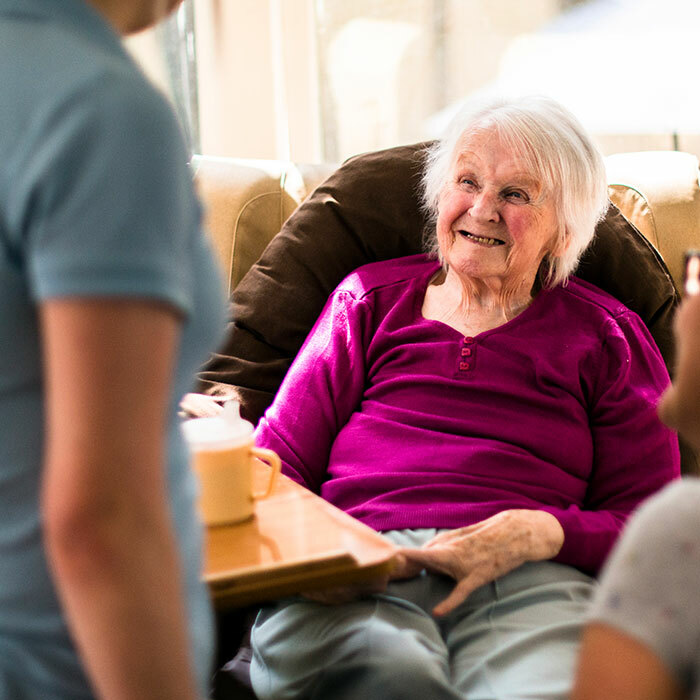 Our mission is to deliver outstanding care in a warm and friendly home-from-home environment, with welcoming surroundings where residents feel independent and cosseted in equal measure. 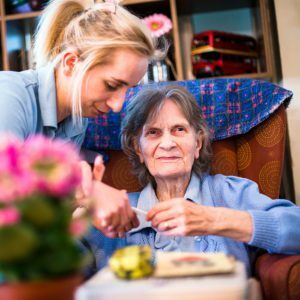 Our Home Care service provides essential support in the comfort of your own home. For those who want to remain self-sufficient and independent, Chilton Croft’s fully-trained team is available to make home life so much easier. 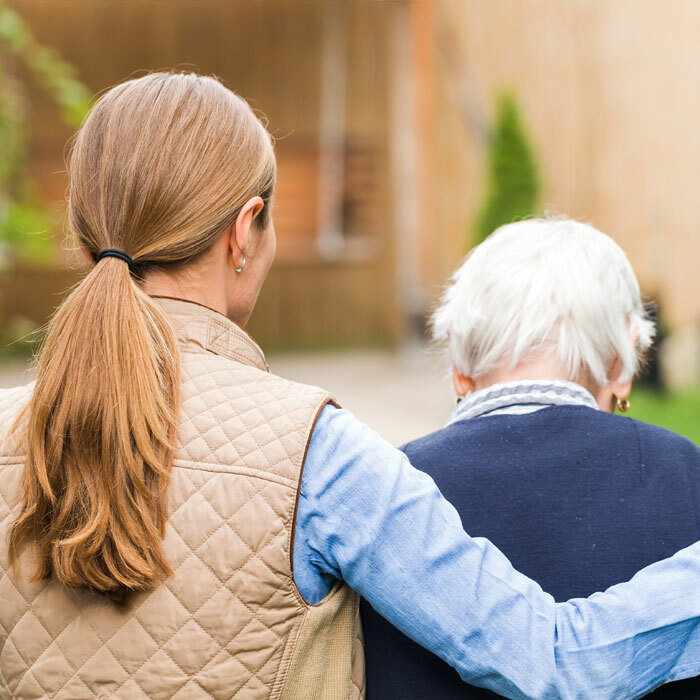 By delivering individually tailored plans that meet specific care needs, our home carers provide a familiar, friendly face on regular visits and reassurance for relatives. We understand how important dignity, clarity and independence are to our residents, so we strive to encompass professional excellence and experienced quality care with enjoyable pastimes – from meeting essential medical needs and providing round-the-clock assistance, to encouraging activities for mental and physical agility, or simply having a chat and sharing a song. We believe that everyone deserves to enjoy the best quality of life, and Chilton Croft provides a complete range of care services to help at different stages. 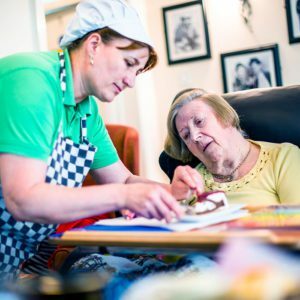 • Independent Living for self-sufficient residents who want to experience the companionship, home cooking and lifestyle of Chilton Croft, without the need of care services, although they are always available if required. • Assisted Living for those who value their independence, but need some help with day-to-day activities such as dressing, bathing or taking medication. Residents of course have access to all the social activities they wish to enjoy. • Dementia Care for residents who are living with the effects of Alzheimer’s, dementia or other forms of memory loss. Chilton Croft has a dedicated dementia care area providing high-level specialist and nursing care. We’re here to offer the highest quality of care service. For more information, or to book a free one-to-one consultation at home, please get in touch via the contact page. Alternatively, you can read our full report from CQC where we achieved a ‘Good’ rating. "My mother-in-law has been in this home for a couple of months now and I have been very impressed with the whole service. The home provides a warm and friendly environment with so many extras to help people in often difficult circumstances. The many staff are extremely caring and friendly and treat the residents with a great deal of respect. Visitors are also made to feel very welcome at all times. Organisation is top class with plenty of staff keeping the rooms immaculate, being on hand for individual needs, offering a friendly chat and serving a daily varied menu. Thank you!" "My mother was admitted to Chilton Croft Nursing Home in October 2017. She was in very poor health having been in a hospital for 7 weeks with a broken hip following a fall at her assisted flat. Since being in Chilton Croft her health has improved dramatically she is now eating well and is in good spirits. The care given to her has been excellent, the care home is clean, no smells and the staff are excellent giving her all the care required. We are very pleased we chose Chilton Croft." "I couldn't have wished for better care for my mother. She was treated kindly and caringly by very caring and friendly staff, in a dignified way. Everywhere was open to view and had a lovely homely atmosphere. I could visit at any time and was always made welcome. Nurses and carers were always helpful and ready to discuss anything with me. Mum was a resident for 15 months and once settled seemed very happy and content. I wouldn't hesitate to recommend this care home to other people." "My wife has been a resident for one and a half years, she has advanced dementia and is virtually helpless. During her stay she has been treated with dignity and kindness at all times and the nursing care she receives is excellent. My family and I have been impressed not only by the care she receives but also the compassion and friendliness shown by all the staff. We are happy to let her see out her latter days here as she is completely content in her surroundings."